Let’s make some connections. At the beginning of Matthew 5, there is Jesus and there is a crowd; so too here at the beginning of Matthew 13, there is Jesus and there is a crowd. It’s time to teach. The crowds are big, so in Matthew 5 Jesus sits on a hill to teach, while here in Matthew 13 he gets into a boat. In Matthew 5 he gives instructions, while in Matthew 13 he deploys a different didactic strategy: parables, stories. Stories? Well, yes, parables are stories, very short stories. But don’t think you can relax and take it easy-peasy. It’s not as if the Sermon on the Mount is a lecture, while Matthew 13 is a children’s talk. Not a bit of it. Kids can listen in on these stories, but parables are seriously adult. They’re artful and arch, they tease and twist, they mess with your mind. The materials on which Jesus draws are commonplace – nature, agriculture, village life – but the punch lines to which they lead are always strange, unexpected, and – crucially – interrogative. So they require a nimble mind, a lively imagination, and – finally – an audacious determination to engage them and answer the question. Parables take you from the mundane world and the conventional ways we negotiate it, confront us with a different picture of the world, and challenge us with two questions: “Do you get it?” and “Will you live it?” Parables aren’t illustrations, certainly not illustrations of what we call – mistakenly call – reality. Rather they picture a new reality, God’s reality – Jesus calls it the “kingdom of heaven”. And, yes, explicitly or implicitly, all the parables end with the burning question: Will you make this reality your reality? Thus, finally, the parables are dangerous because they confront the listener with judgement, they sift us, they separate those who will say Yes and take a risk and follow Jesus, and those who will say No and travel by sat nav. The sting is that those who play safe are, in fact, living in a world that, for all its apparent givenness and permanence, is passing away – and so they are, if you like, comfortably heading for oblivion. Okay – the parable of the sower, the first of a septet of parables in Matthew 13 (Matthew loves the number seven). These parables were no doubt originally told by Jesus at different times and places, parables which Matthew, clever rabbi that he is, has grouped together for the purposes of teaching in his own church. And because it’s parable number one, you can be sure that it’s important, programmatic. So what’s this new world, God’s world, and therefore the real world, like? First, observe that while Jesus speaks to the crowd, he is actually instructing the disciples, who, however, are not as smart as they think. In fact, they’re in danger of backsliding, of being recaptured by the world of 24/7. You see the forces of opposition to Jesus have been gathering. The Pharisees and scribes, Israel’s lay leaders and public intellectuals, are spitting venom, what with Jesus’ indiscriminate association with outsiders, and his cavalier attitude to purity regulations and Sabbath observance. He’s not acting like a holy man, a religious person, at all. John the Baptist, from prison, has recently sent messengers expressing second thoughts about whether Jesus is, in fact, the Christ, or whether it’s a case of mistaken identity. And in the passage immediately preceding our parable, Jesus’s own mother wants to have a chat with her boy about his ministry, which started with such promise but now looks to be losing its way. The twelve have been watching as all these events unfold. It doesn’t look good, and they are worried men. What does Jesus do? He paints them a narrative picture. It’s a picture they have seen many times. It’s the picture of a farmer farming the way Palestinian farmers farm. It’s not a practice Gower farmers would recognise. The farmer does not plough before he sows, and he does not plant his seeds in a calculated manner. No, the farmer walks along a path well-trodden by his fellow sharecroppers, stubble really, and he tosses on the seed. There are thistle bushes to his left and right – he tosses some seed there too. In some places there are outcrops of limestone barely covered by soil – he throws some seed on these unpromising places too. Basically, the farmer chucks the seed all over the place. Like Jesus in his own ministry, this farmer is quite undiscriminating. What happens next? What else but what would be bitterly familiar to any Palestinian farmer whose seed was his cash-flow? Indeed Jesus actually soft-peddles the frustrations against which farmers contended: wind (the scorching sirocco sweeping up from North Africa), drought, locusts – Jesus doesn’t even mention these agricultural menaces. No, the picture he paints is depressing enough. The vast majority of the seed bears no fruit during the best of growing seasons. Some of it dies from the get-go, or gets snapped up by the crows. Some of it sprouts, but soon shrivels in the heat. Some of it actually does grow among the thorns, which, however, choke the life out of the neonatal blades. That’s the way it goes in the cruel, unforgiving world of Galilean agriculture. And even if by good fortune you get a yield, your ruthless landlord will be sure to extract more than enough of the harvest to ensure that you remain indentured to the land without any economic security whatsoever, debt and unemployment just a bad summer away. But what’s this? What’s this Jesus is saying? Do we hear him correctly? Do the maths: the best one can expect to get is a four- or fivefold yield. But a thirtyfold yield? A sixtyfold yield? A blooming hundredfold yield?! It figures – he’s a carpenter, not a farmer. What does he know? But that’s what he claims. Is he having us on? What is he saying? For those first disciples, as I’ve suggested, the parable undoubtedly spoke to their growing suspicions that they might be backing the wrong (plough) horse. But those scribes and Pharisees who just don’t get it – consider them the rocky places, Jesus is saying. And John the Baptist who once exclaimed at the Jordan, “I ought to be baptised by you, and you have come to me!”, but now behind bars has his doubts – put it down to that old crow Herod pecking away at his faith. And my mum who is now telling me, naughty boy, to come home and get a job, well, maybe her soil was just too thin, or maybe the weeds of village opinion engulfed it. But you, my friends, you’re the good soil, and as unlikely – nay, as impossible – as it seems – what? Work hard and you shall have your reward? Or, don’t worry, the opposition will come around in the end? Not a bit of it! That ridiculously humungous yield – up to a hundredfold! – no way that either huge exertions or optimal circumstances are going to produce it. Only God can give – give! – that kind of result. And God will! That’s the deal. And what about us, the friends of Jesus today? Does this scripture speak to our need and condition? And if it does, what does it say? What is our condition? It is not good: rocky soil, weeds, pests. The church is in decline. What should be our response? Hard work? Well, sure, work is good. But things can only get better? No, things are looking to get a lot worse. But here’s a quaint idea: God! In the URC – and I suspect in the Methodist Church too – there are those who think that only a cunning plan will save us: better management and more assessments; a new programme with a catchy advertising campaign; cutting-edge entrepreneurialism; state-of-the-art technology; and so on. And some of these ideas may indeed be worth trying. But none of them is going to save the church. And to think otherwise is not only faithless, it is quite idolatrous, trusting that the deities of effort, or ideas, or techniques will kick-start mission – by which is usually meant getting more people in the pews and on the books. Me... I actually think... if you take my meaning... that we need fewer Christians and more disciples. Followers of the Jesus who says that following him will not make you balanced, liked, successful, or safe, no, it will put you on a collision course with the world and cause you a lot of trouble and grief. Followers of the Jesus who says you can’t worship both me and Mammon (otherwise known as the Market), can’t worship both me and Venus (otherwise known as Health and Beauty), can’t worship both me and Mars (otherwise known as the War on Terror). Frankly, at the moment, I think the soil of the church is too culturally contaminated to grow anything much good at all. But I also think that “a church that is shrinking in membership may actually be a church in which the soil of the gospel is being prepared in which deeper roots are possible” (Stanley Hauerwas). In other words, there is no point having more plants – more Christians – unless we have richer soil – the practices of Jesus – in which to grow them. In short, the Sermon on the Mount. 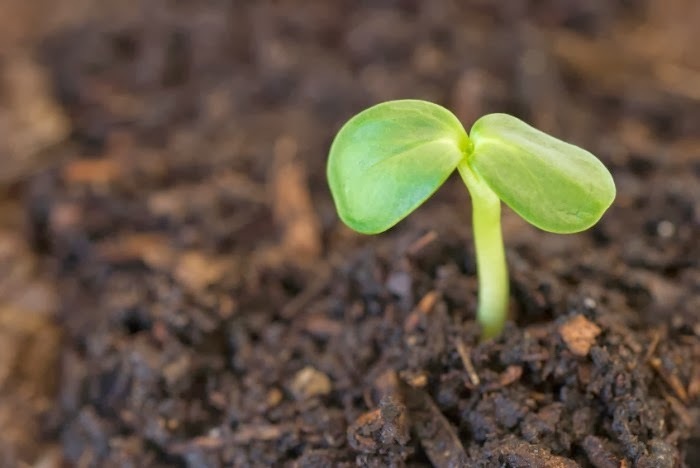 Here is the soil for growing people who are serious about living the new reality of God, the soil with the promise of a yield of thirtyfold, sixtyfold, hundredfold. Here is our judgement. And here, ultimately, is our only hope.